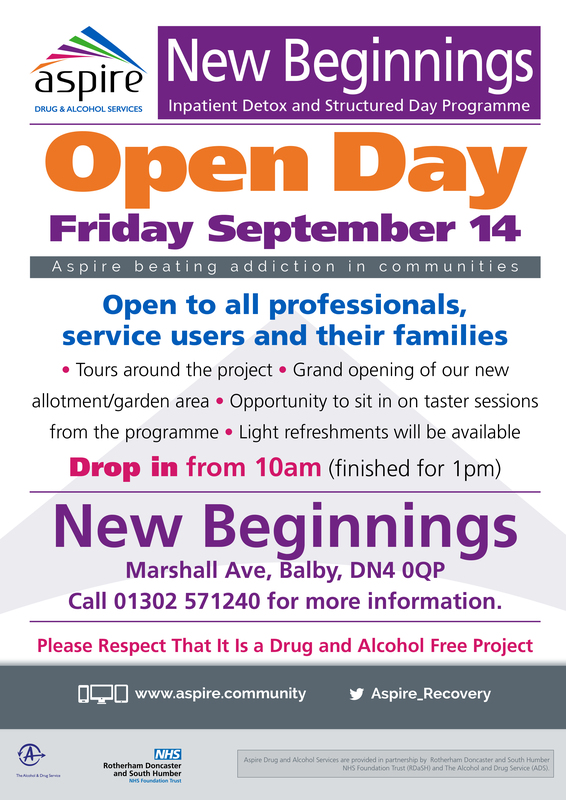 We are holding an open day for service users, their families and also health professions on Friday September 14. Come along and join one of the tours, sit in on a taster session and celebrate the grand opening of their new allotment/ garden area. You can drop in from 10am (finishes for 1pm) at New Beginnings, Marshall Avenue, Balby, DN4 0QP. To find out more please ring us on 01302 571240.